Good news to all as we have successfully tested and proved the PrizeRebel is indeed a site worth working on it to earn money online. You can check out our payment proof here. We are Being PAID 5 Times. 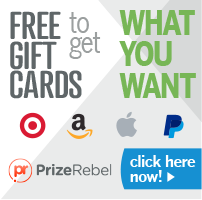 Step 1: Go to PrizeRebel or just click on the banner below to start registration for the site. Step 3: Check your email and verify your account and you are good to go. Step 4: Now you can start to earn at the moment you have logging, How? Step 6: Choose any of the option below and see if there is any activities available for you. In this example, I click on PeanutLabs and there is a survey available for me. You can also refer to our guide to earn money online at Prizerebel.